We are so excited you’re considering joining us for the 10th Poultry Workshop with P. Allen Smith! There will be four morning and five afternoon workshop options. Participants can choose to attend one morning workshop and one afternoon workshop with exciting hands-on demonstrations and valuable information to keep your flock healthy and safe! Hubbard® Life Homestead Poultry Feed will be available for purchase during breaks. Visit the Hubbard® Booth, and pay in the P. Allen Smith Gift Shop. 8:30 AM – Gates open. Allen shares heritage poultry updates, successes, and best practices at Moss Mountain Farm. He will also discuss the Heritage Poultry Conservancy, its goals, and how to get involved. This is a time to ask the experts any remaining questions you have about caring for your poultry. *Please note that there is limited availability for each workshop. After purchasing a workshop ticket, you will receive an email with a form that will allow you to choose your workshop preferences. Workshops are filled on a first-to-signup basis. We have a great line-up of speakers with various backgrounds in education, but all with a love and passion for poultry! 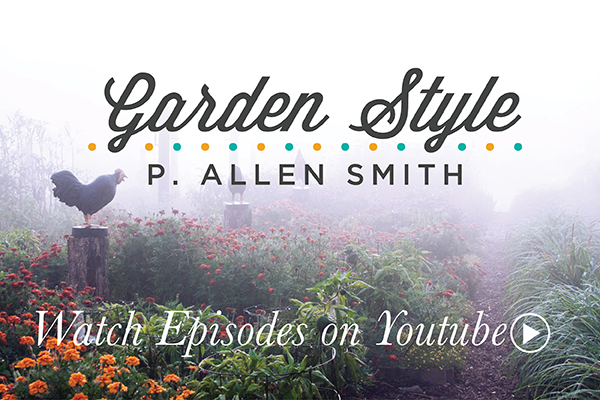 Please feel free to email webmaster@pallensmith.com with any questions and we hope you’ll join us! Learn the factors you need to consider when it comes to housing your birds, such as space for roosting, feed, and shade. Using real coops in demonstration, Jeff will teach you what design makes the best sense for the size and needs of the flock. The local food movement has regenerated interest in raising and processing your own poultry for the home table. In his lecture, Doug covers the basics of home processing. Learn about natural remedies and methods for maintaining the health of your flock. Josh will show you how to use herbs, essential oils, diatomaceous earth, and household products to take care of your chickens using time-honored practices. Enjoy a guided exploration of Allen’s terraced gardens overlooking the Arkansas River, the English rose garden, and his ornamental one-acre vegetable garden. Discover how the egg is formed and dissect its contents with Dr. Bramwell. Learn everything there is to know about the fertilization process including how to distinguish fertility and overall egg quality for consumption. From the first bath to the last spray, get a step-by-step “how to” on everything you should do to get your birds ready to take home the trophy. Jeff May consults with poultry farmers about best management practices, including biosecurity, sanitation, animal health, vaccinations, air and water quality, feed management, and nutrition. He specializes in the brooding of hatchlings as well as breeding, incubation, and growing to market. He believes animal husbandry should focus on health to improve performance and be rooted in a cost-effective, sustainable farming system. Josh Deines is a Ph.D. student of Poultry Science focusing on hatchery and breeder management and reproductive physiology. Some of his research areas include: color preference in broilers, incubation and egg storage conditions, probiotic administration, and in ovo vaccination. After high school, he served as a State Officer for the Colorado FFA Association and traveled the state, nation, and even internationally to promote agricultural education. Josh has also raised cattle and is an avid outdoorsman and martial artist. Dr. Bramwell grew up on the West Coast and spent much of his younger years raising birds of all varieties. He holds his M.S. and Ph.D. degrees in Avian Reproductive Physiology and researches hatchery and breeder management. While maintaining more than 15 heritage breeds, Keith actively works with young poultry enthusiasts regarding the many career opportunities in the poultry industry. Doug Yoho was born and raised in western New York. He is currently a Program Associate at a university as well as a hatchery manager. His research and work is in the area of hatchery and breeder management as well as assisting with poultry processing at the a university research facility. Dr. Ed’s research for his masters and doctorate degrees involved nutrition and health in pigs, but after school, he started to work less with traditional farm animals and more with pet and specialty animals. And those smaller customers are Ed’s focus in his work as a companion animal nutritionist for Hubbard Feeds. Ed makes it his goal each day to develop or employ tools and products to share which will make a customer’s life easier, better or to help them make more money with their animals. Dawson Davidson has been a devoted 4-H member and leader since childhood. His passion for heritage poultry and his skills as an exhibitor have made him a three-time APA National Title holder. Dawson enjoys sharing his knowledge of raising, preserving, and exhibiting heritage poultry breeds.